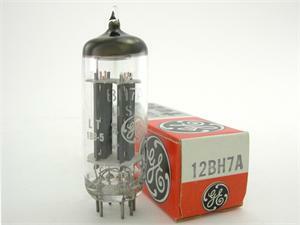 This 1960s GE 12BH7A tube has a halo getter and gray plates with copper grid posts. 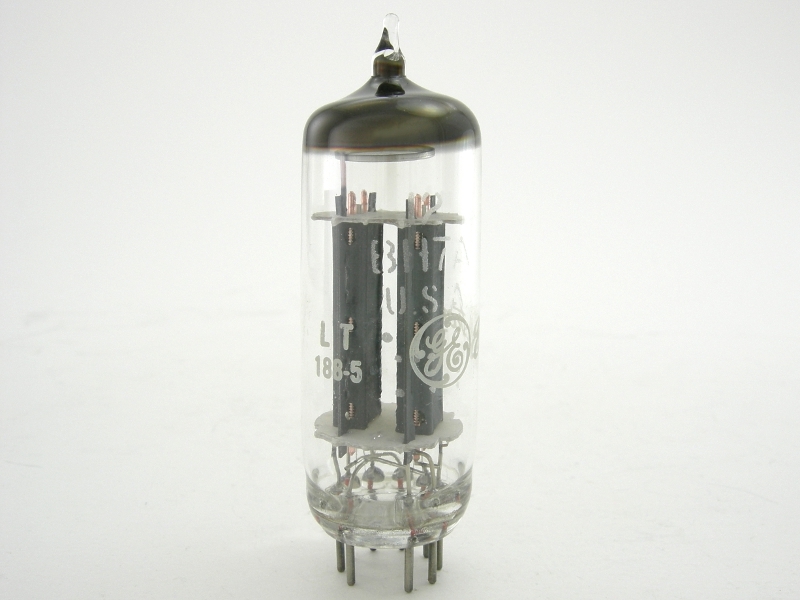 The white or red print on the glass has the GE logo. Tube tests as new with balanced sections. It ships in its original box. This tube is sold individually. Photo is of a sample from the lot. Matched pairs, when available, are listed as Item 913.